There are indications that the bookmarks have accompanied books for about 2000 years already. The research for this paper revealed new facts about the existence of much earlier bookmarks as the ones described in the current bookmark literature. As a consequence, the earliest currently known bookmark has to be backdated by several hundred years to the 6th century AD. It is an ornamented leather bookmark lined with vellum on the back and was attached to the cover of a Coptic codex found near Sakkara under the ruins of the monastery of Apa Jeremiah in Egypt in 1924-25. Remnants of bookmarks found in the earliest Coptic codices indicate that bookmarks have accompanied codices since their first emergence in the 1st century AD. Several bookmarks of Coptic codices from 1st to 11th century and bookmarks of Carolingian codices dating from 8th to the 12th century are described in detail and with pictures. In the light of these results, the history of bookmarks has been divided into new periods, and the paper is devoted to the earliest part of the bookmark history: Ancient and Medieval Bookmarks (0-1500). 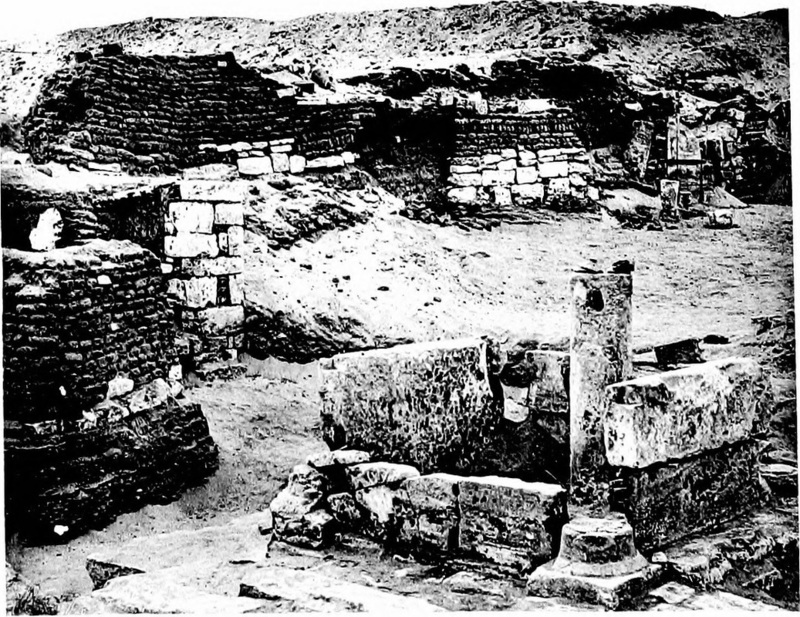 The ruins of the monastery of Apa Jeremiah near Sakkara, Egypt, during the excavation work in 1912, where the oldest known bookmark was found as part of a Coptic codex in 1924-25 (picture from page 228, Excavations of Sakkara (1908-9, 1909-10) Quibell, James Edward et al. ).